Feel history at your fingertips at one of the oldest and unique temples in Saigon's China Town! 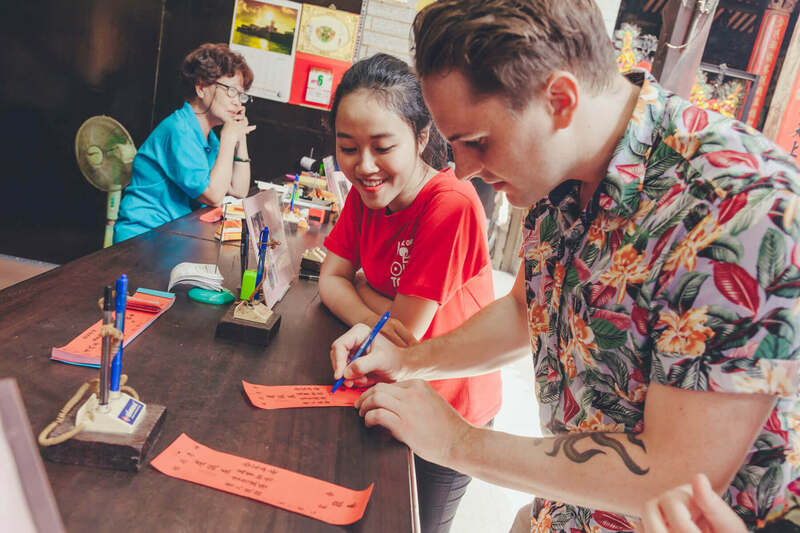 Our Ho Chi Minh Day Tours provide a one-of-a-kind, authentic Saigon Experience! Our expert guides help you to easily navigate the busy streets of Saigon's many neighborhoods. On our tour you'll discover the history and culture of Ho Chi Minh City. While uncovering local areas and sights you simply won't find without being on the Back of our Bikes! Jump on our Bikes and join our charming guides for a local's perspective of Ho Chi Minh City. What are the Ho Chi Minh Day Tours? A combination of our favorite sights and local areas put together in one tour of Saigon. This offers travelers with a limited time in Ho Chi Minh City to see as much as possible of historical and local Saigon as possible. From Beautiful French Architecture to local alleyways where Vietnamese families work, live, and play, Our Motorbike City Tour of Saigon as a bit of variety for everyone. What do we do on Back of the Bike Tours Ho Chi Minh City Day Tours? We use our motorbikes to tour around Saigon so that we can see as much as possible while getting the local Vietnam experience. We will have quite a few stops where we will get off the bike to discuss some of Saigon’s best Sight Seeing experiences and take some photo’s. Here we will discuss history, architecture, and how these places are still in use today.After the main sights of Saigon, we will spend time cruising through local parts of Ho Chi Minh City. This will give you the chance to see the unseen! A walk through a local wet market where families come everyday to shop is an eye opening and exciting experience. Towards the end of our tour we will drive through some of the alley ways of China Town to dig into the interesting history of this bustling area before stopping to experience an old Chinese Assembly hall that is still in use today as a Buddhist Temple. What Districts in Saigon will we see on the Ho Chi Minh Day Tours?! We will visit Districts 1,3,4,5,10, and 8. To see our more specific Itinerary detail, please look below.